HCM CITY — The massive potential of Internet of Things (IoT) is set to help Việt Nam pursue its goal of a smart city and becoming an industrial country by 2020, experts said at an international conference held on Wednesday in HCM City. More than 200 representatives from the hi-tech sectors are participating in the 19th edition of Asia IoT Business Platform. Speaking at the two-day conference, Dương Minh Tâm, vice president of Sài Gòn Hi-Tech Park Management Board, said the meeting provided an excellent opportunity to exchange ideas and knowledge about IoT for government and businesses. “It aims to raise awareness on using IoT in all sectors to improve the country’s competitiveness and sustainable development, epsecially in building smart cities,” he said. IoT presents a window of opportunities for Vietnamese small- and medium- sized enterprises (SMEs) to cooperate with large technology corporations, he added. Speaking on the sidelines of the event, Phạm Huy Hoàng, chief representative of VNPT Office in HCM City, said the platform bridges local and international enterprises, organisations and companies and helps them network, find new partners, expand their market, increase business opportunities, and strengthen international competitiveness. “I personally think that the application of IoT should focus more on projects to build smart cities in the country, including key projects like transportation, healthcare, education, environment and tourism,” he told Việt Nam News. 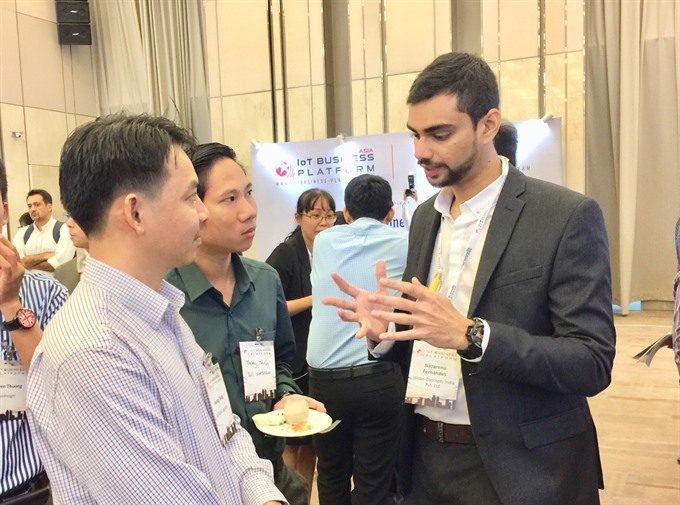 Phạm Trung Kiên, director of Digital Services of Viettel Group, said the platform would help Việt Nam explore opportunities and challenges within enterprise IoT, while providing ample networking and business matchmaking opportunities for IoT stakeholders. “The main takeaway here, of course, is ASEAN enterprises’ familiarity with IoT,” he said. Contrary to common belief that the IoT market in the region is not mature enough, the survey revealed that 73.3 per cent of local enterprises and organisations are in the stage of exploring IoT for their organisations, or are exploring different solutions to be adopted, he added. “The figure is a 23.3 per cent increase from last year. This is in pretty much in line with most projections by market research firms such as IDC and Frost & Sullivan, who expect the adoption rates and IoT market value in countries such as Thailand and Indonesia to grow exponentially,” he added. Local enterprises and organisations believe that IoT can help them improve productivity (76.3 per cent), reduce long-term operational costs (69.7 per cent), and improve customer relationships (66.1 per cent), according to Coelho. 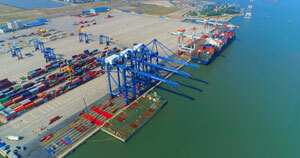 Irza Suprapto, director of Asia IoT Business Platform, said Việt Nam is one of the fastest-growing economies in the world and has been rapidly growing its IT sector to pursue the aim of becoming an industrial country by 2020. “The 2016 edition of Asia IoT Business Platform in Hà Nội last November, showcasing IoT initiatives from local companies including Vinamilk and Cầu Đất Farm, was a testimony of the massive potential for IoT in Việt Nam,” he said. IoT is not new to the local tech scene, as tech giants like VNPT, FPT and CMC have identified IoT as the “leading tech trend”. 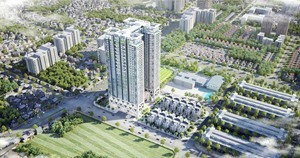 Smart city projects started as early as 2008, and since then have appeared in at least five more cities across Việt Nam. In 2013, the Ministry of Science and Technology set up Silicon Valley Startup Ecosystem to stimulate growth and encourage Vietnamese to venture into tech startups. The Government pledged to invest US$111.6 million from the State budget in the ICT sector by 2020, incentivising local and international firms to invest in the country. “The fragmentation of IoT in Việt Nam, coupled with the lack of standardisation, presented an opportunity for international IoT players to convene and interact with local enterprises to help them truly reap the benefits of IoT. “There is no better time to develop the IoT solutions in Việt Nam to foster socio-economic development and increase the country’s competitive advantage. This is what we will continue to strive through all our industry events,” he said. 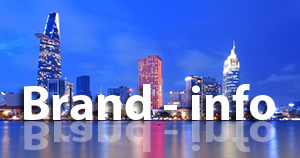 The rapid technological developments in Việt Nam have led to great demands for IoT technologies in the country. A recent survey conducted by Asia IoT Business Platform on local enterprises shows more than 70 per cent of ASEAN enterprises and organisations are currently in the process of exploring or finding possible IoT solutions to be deployed or implemented. However, only 7 per cent of them report benefitting from any IoT implementation. These enterprises and organisations cite costs, legacy systems and complexity as the top three concerns in adopting IoT. The conference discussed a wide spectrum of topics including industry trends and outlook, industrial IoT, transport and logistics, public services, smart city, banking, finance and retail, and next generation technologies. With a focus on local telecommunication companies and verticals, the Asia IoT Business Platform is an educational platform crafted by and for the industry, with the aim of addressing key issues facing the adoption of IoT technologies in the ASEAN region. 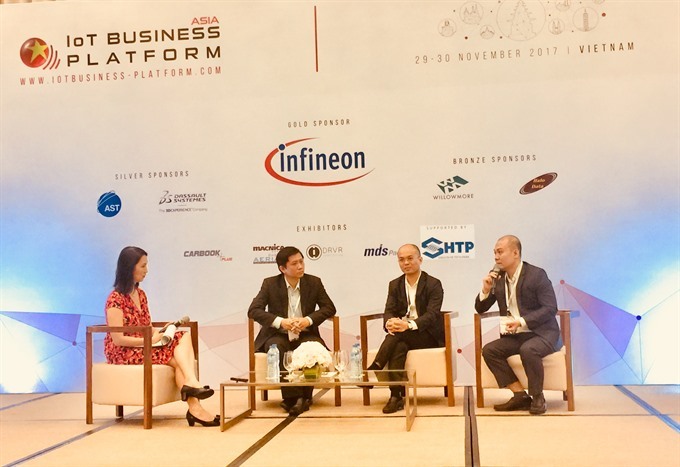 The platform, organised by Industry Platform Pte Ltd, a Singapore-based firm focused on the global telecommunications sector, helps enterprises understand and learn about the adoption of IoT technologies for their business.